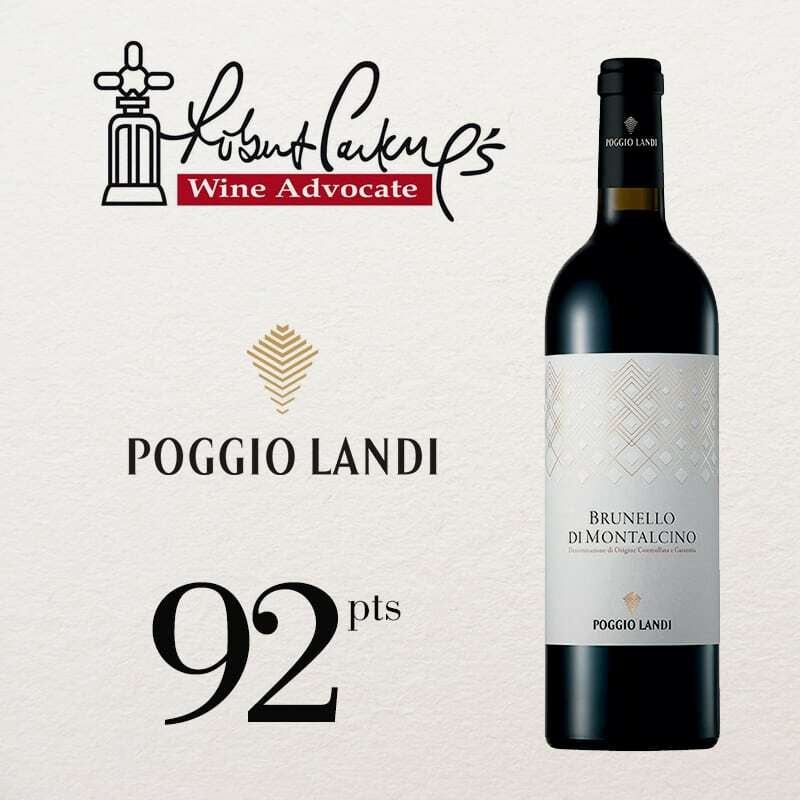 The Brunello di Montalcino DOCG Poggio Landi rises from a mono-varietal selection of top-choice Sangiovese grapes picked from the Poggio Landi vines growing at an altitude of 180-500 meters above sea level. 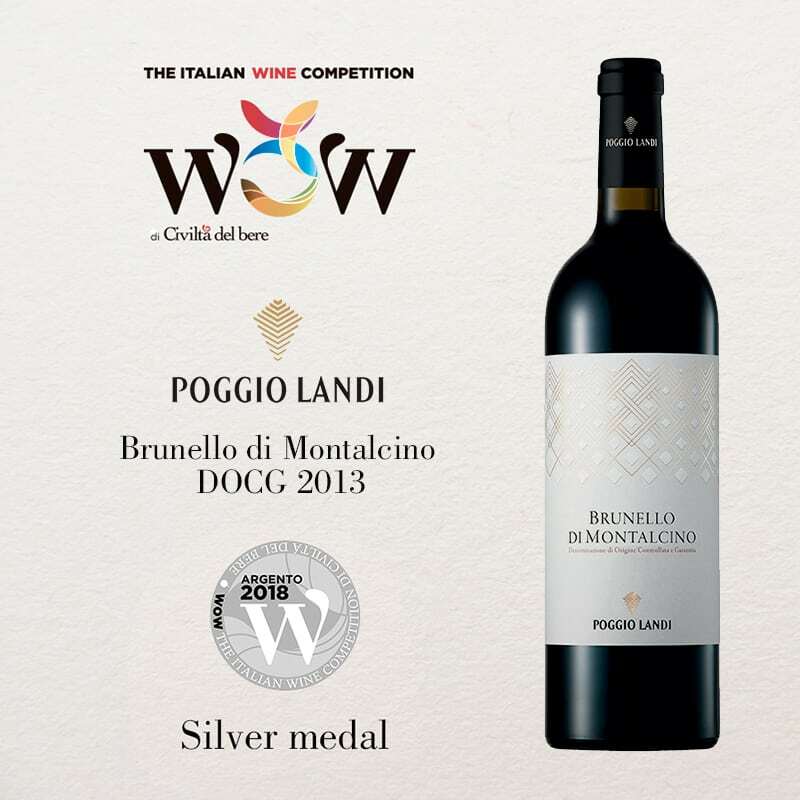 Aged for 38 months in French oak barrels and 6 months in bottles, the Brunello di Montalcino Poggio Landi speaks of vigor and elegance, sounding out the very characteristics that have won this wine variety worldwide fame and acclaim. 180 - 500 mt s.l.m. 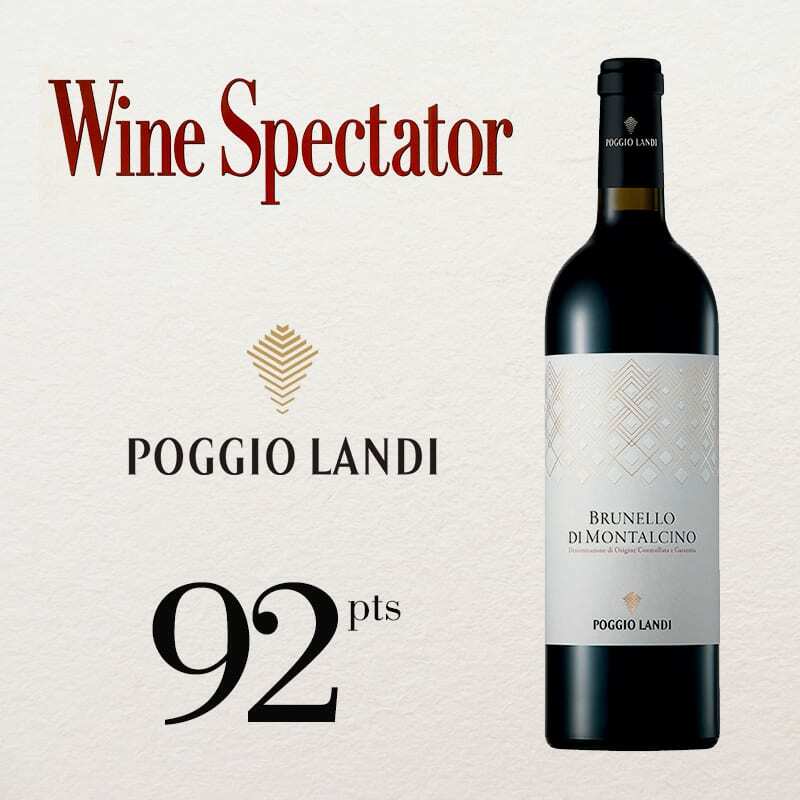 The 2013 wines enjoy a lively acidity and softer tannins as well as a pleasurable gentleness. Different sides to this wine’s character emerge tasting after tasting. 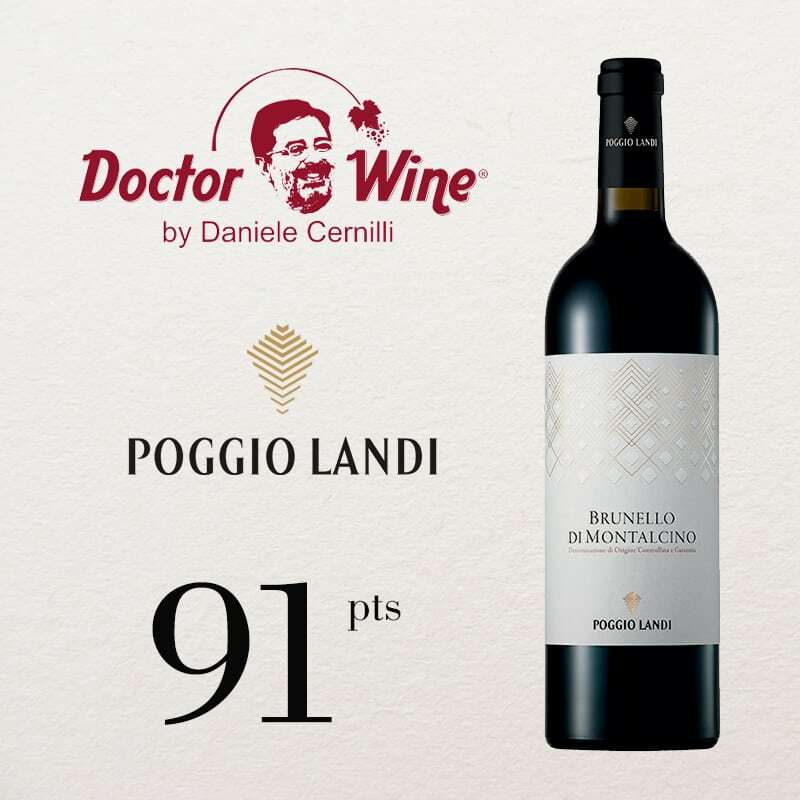 The wine has very high levels of polyphenols and the colour is intense. The exquisite elegance and refinement, paired with lasting and lingering bouquets, are all ideal indicators for long bottle ageing. 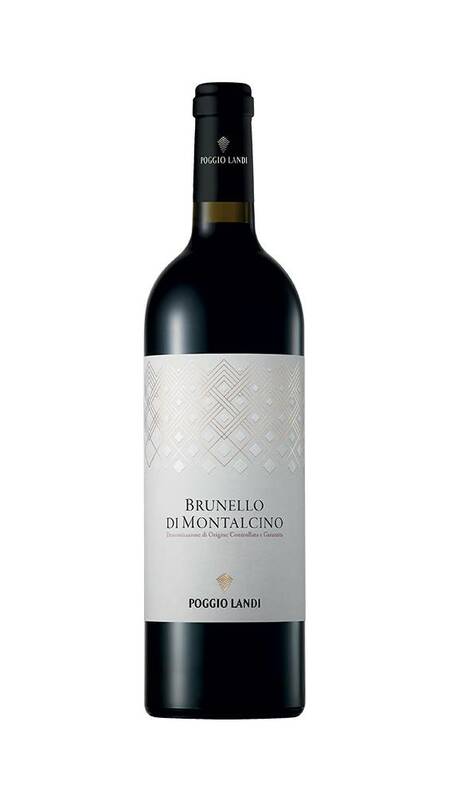 Brunello di Montalcino 2013 is intense and elegant. 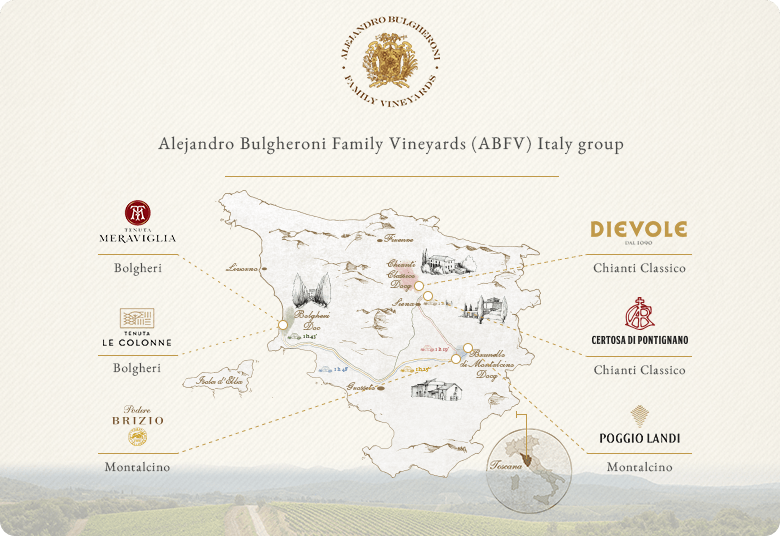 Traditionally vinified. After two weeks of natural spontaneous fermentation, the wine is racked into large 30 and 54 hl French oak barrels where it ages for 38 months. Refined in bottle for 6 months minimum. 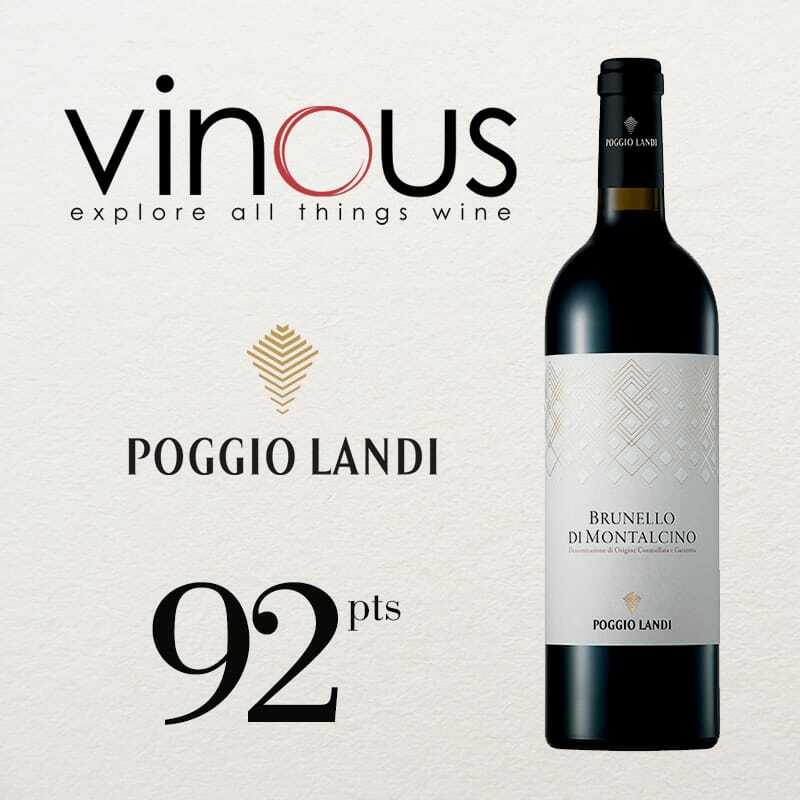 Intense and complex bouquet, with nuances of ripe red fruit and spices like black pepper and liquorice. 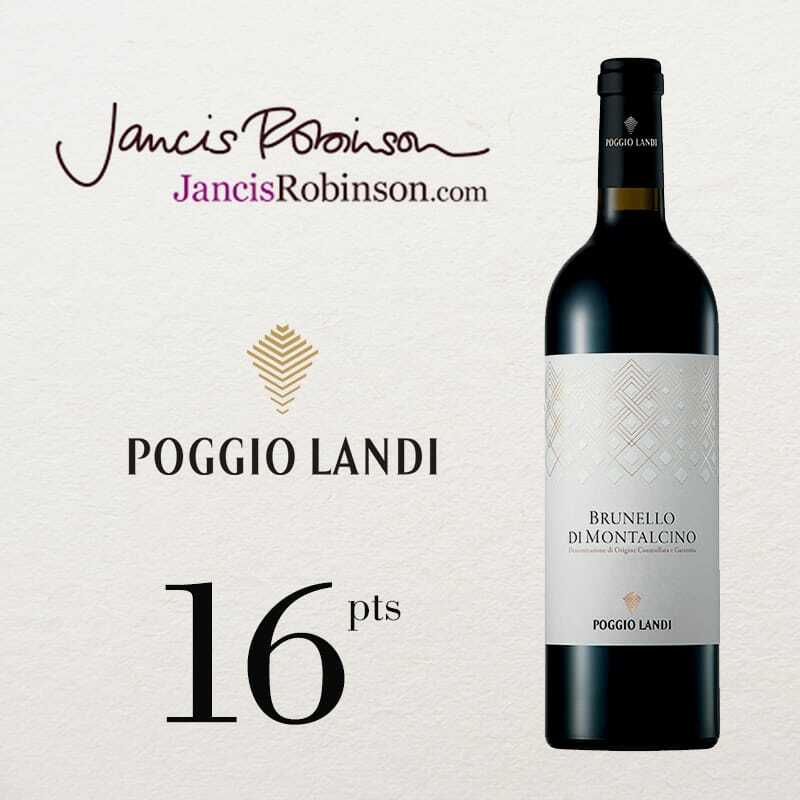 Lingering and luxuriant tannins with notes of ripe red fruit, vanilla and spices. Very long finish. Perfect when paired with cheeses, meat and game.